We decided to set up our own business in 2010, after having worked in the art world and acquired an international experience for ten years - while Emmanuel worked at Christie’s New York, London and Paris, Laurie worked for different dealers in London and Paris. 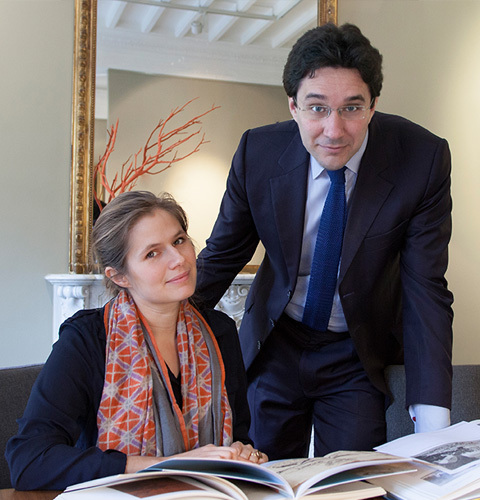 Our office is based in Paris, where we are pleased to receive collectors, curators and art lovers by appointment. Each year we run two major events: an exhibition dedicated to works on paper in the spring, as well as a painting exhibition in the fall. On each of these occasions, we publish a catalogue in which we document the exhibited works extensively. We buy works of art directly from private owners who wish to sell part of their collection; we also take works on consignment. We are equally happy to provide advice and help collectors who wish to expand their collection.